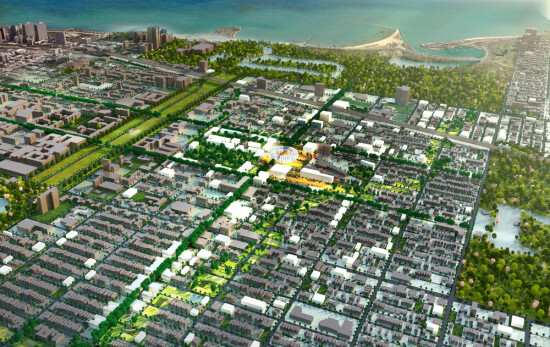 Vue53 was scheduled to begin construction in early 2014 in the South Side Chicago neighborhood of Hyde Park. 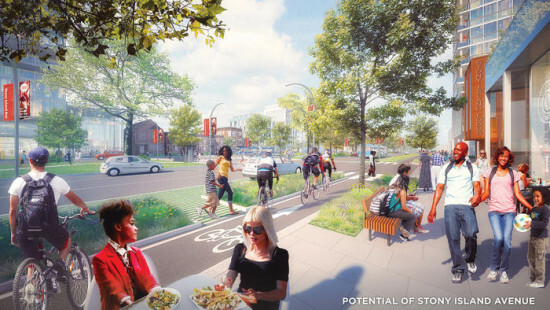 A NIMBY lawsuit delayed that start date. Last year, Mesa Development and the University of Chicago announced they’d planned a 13-story mixed-use development for the western end of Hyde Park’s 53rd Street commercial strip. 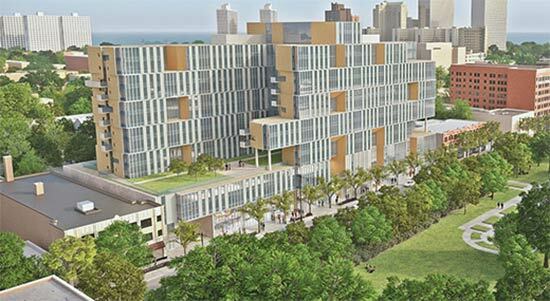 The massive project drew opposition to its scale and a lawsuit delayed construction—until now. [beforeafter] [/beforeafter] The Valerio Dewalt Train Associates (VDTA) design and its density ruffled some feathers around the neighborhood, as the 135-foot-tall building, dubbed Vue53, would be among the area’s tallest structures. (Nearby Harper Court tops out at 160 feet.) 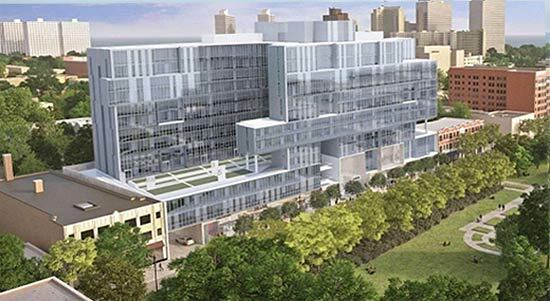 A judge in February threw out a lawsuit appealing the building's zoning change, paving the way for the 300,000 square foot facility and its 267 rental apartments, 228 parking spaces and 29,000 square feet of ground floor retail. 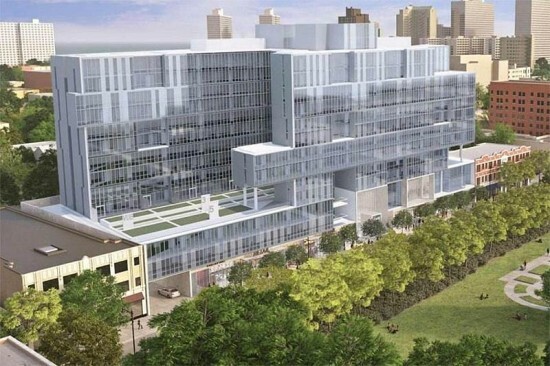 Curbed reported McHugh Construction is apparently seeking subcontractors for the project. VDTA’s yellow-accented facade appears to have been traded for silvery glass. They appear to have adjusted the rhythm of the facade pattern, too. The developer is targeting completion during Summer of 2015. Last year's Open House Chicago sent architecture enthusiasts skittering around the city to explore a fraction of the 150 sites open to the public during one October weekend. This year the Chicago Architecture Foundation presents the third annual Open House, and it will be no less impossible to see all that the free de facto festival has to offer. The buildings (view a full site list here) are open 9 a.m. to 5 p.m. on Saturday and Sunday, Oct. 19-20. 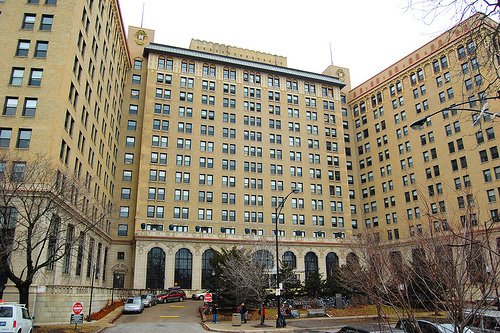 Lincoln Park Patch.com has a guide to that neighborhood’s spots, including The Midwest Buddhist Temple and the Brewster (Lincoln Park Palace) apartments, the building from which an aging water tower plummeted in July. Pick a neighborhood (13 are featured), or a category, to line up your own itinerary. 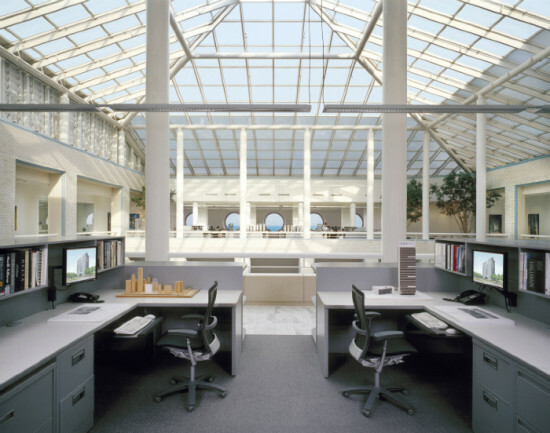 Nineteen architecture offices are open to the public, as are three Frank Lloyd Wright houses (Robie, Charnley-Persky, Emil Bach). You can follow the Foundation’s “sustainability trail” to stops like The Plant, a meatpacking facility turned net-zero vertical farm, power plant-turned-high school Power House High, and Uptown's "Greenrise". 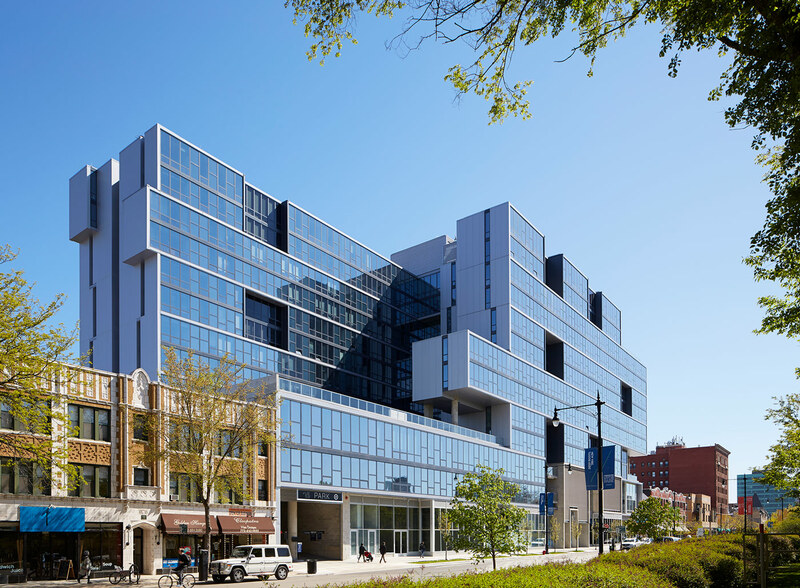 The University of Chicago’s ongoing development is a balancing act of preserving its collegiate gothic badge of architectural honor and making bold contemporary bounds ahead. 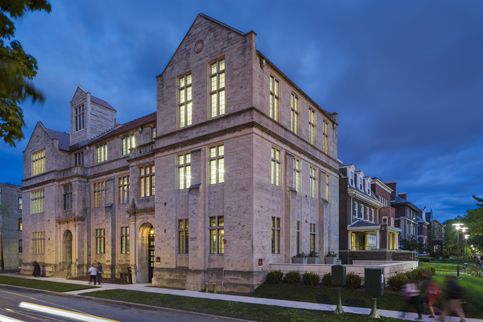 One project that maintains that equilibrium with grace is Ann Beha Architect’s conversion of the University’s old Theological Seminary into a new economics building. 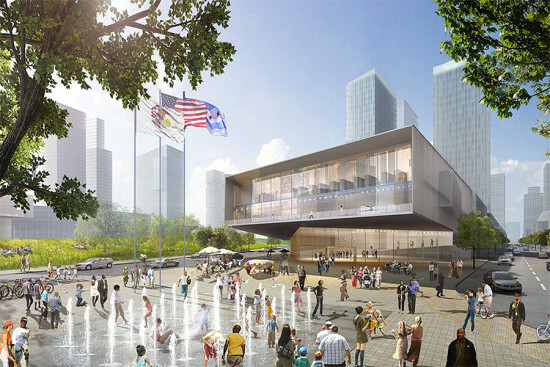 The area surrounding the site at 58th and University is on the preservation watch list, so the new steel-and-glass research pavilion along Woodlawn Avenue is likely to ruffle a few feathers. But most of the work treads lightly on the site. 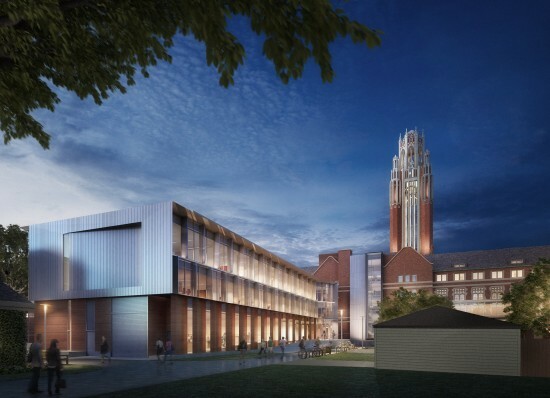 Glass infill will create a new entryway between the seminary building’s two main wings. While historic facades remain throughout much of the building, designers hope a new staircase will improve vertical circulation. And a 90-seat classroom anchors an expansion below grade that improves access to existing space, drawing in light from openings to a new loggia above. Placed atop a terra cotta base, the modern addition jives tastefully with the former seminary.